As we enter 2019 only one thing really surprises me- we're at the end of the tens, the 2010s, I mean. This is the last year of the decade, which means we're two decades into the 21st century. For the first time I begin to ask myself the question, what is this century like? 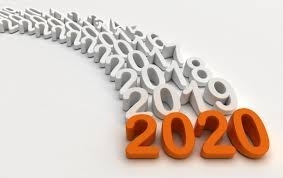 Now that we're almost 20 years into it, and 2019 will just be a kind of finishing touch to the decade, what is the 21st century about?